Custom 12 inch meat cleaver in 440c. 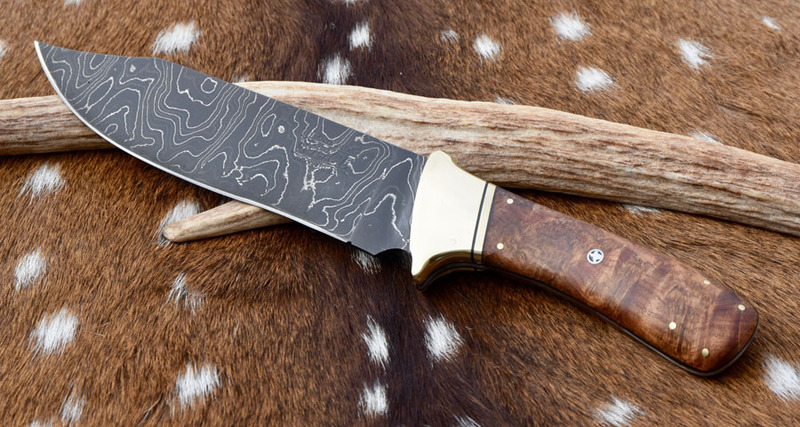 Home/Finished knives./Custom 12 inch meat cleaver in 440c. 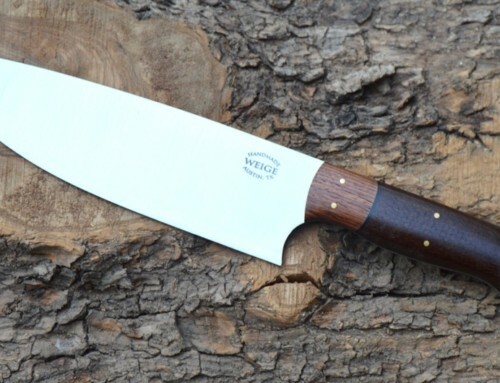 We finished up a 12 inch custom cleaver for a customer this week. 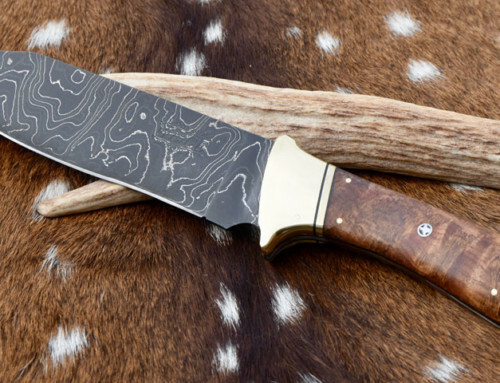 This is done in 440c with a stabilized Texas Mesquite handle. 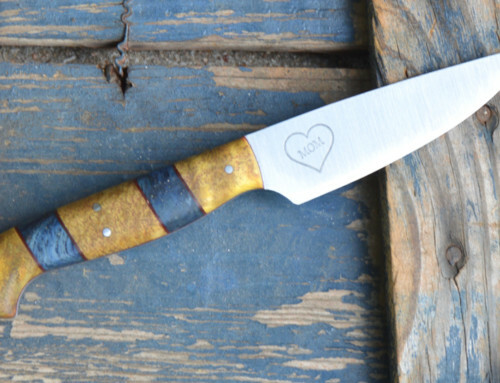 This is our first cleaver, but it looks like we’re going to be making more as interest has taken off since we posted this on our FB page. Also, we’re loving the Texas Mesquite wood and I just sent off another block for stabilization. Camp / Bowie knives in damascus completed. September 25th, 2018 | Comments Off on Camp / Bowie knives in damascus completed. 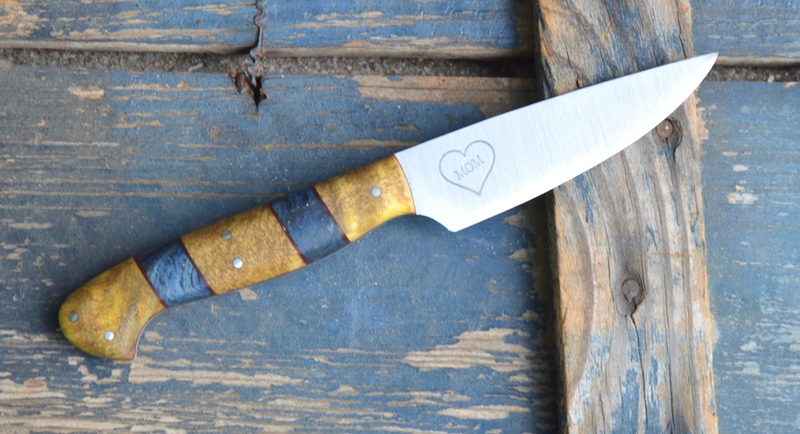 Knife for Navy Officer completed. October 15th, 2017 | Comments Off on Knife for Navy Officer completed. 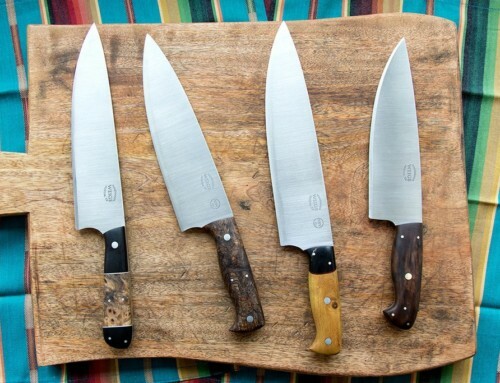 Weige Knives and Texas Monthly team up. 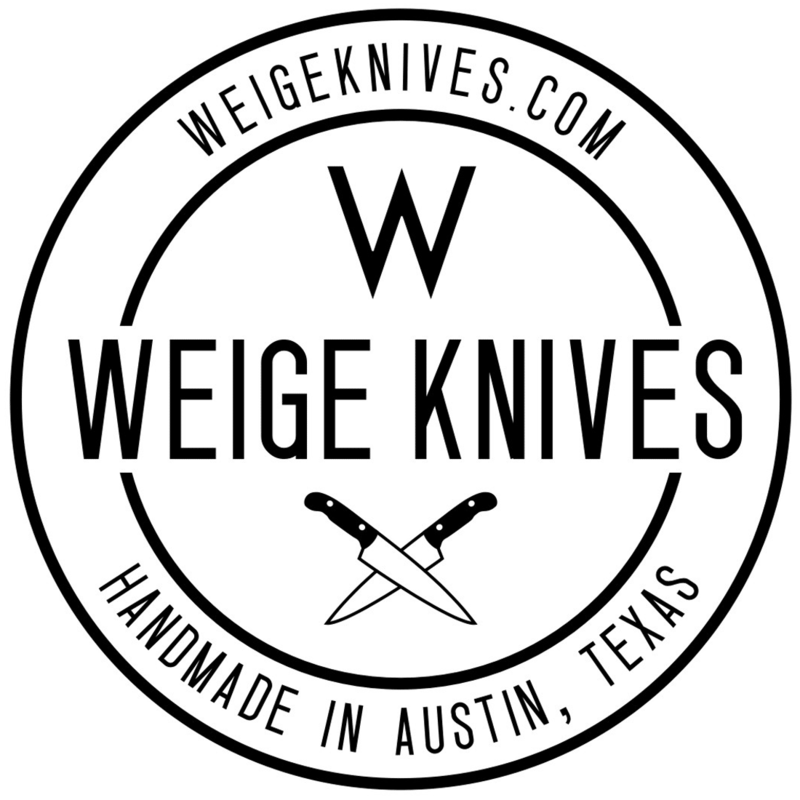 May 31st, 2017 | Comments Off on Weige Knives and Texas Monthly team up. May 8th, 2017 | Comments Off on Mother’s Day Sale! 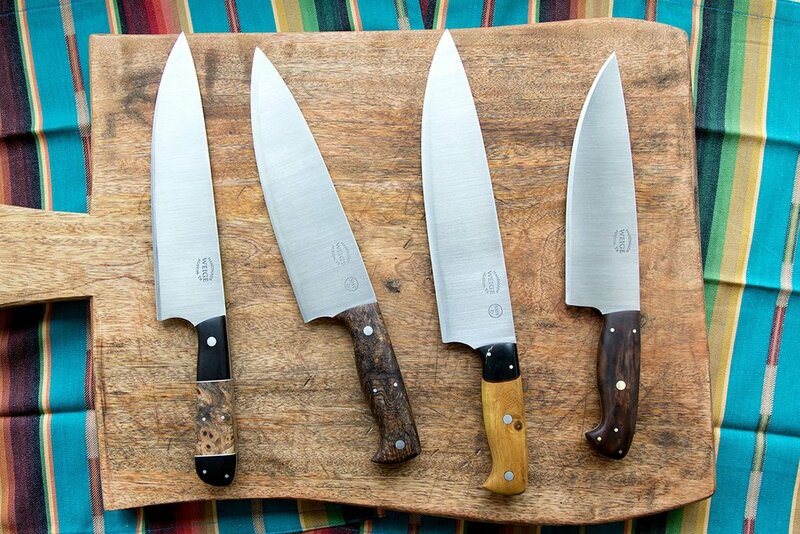 A few knives available now. July 30th, 2016 | Comments Off on A few knives available now. I would like to know the cost and lead time for a meat cleaver?